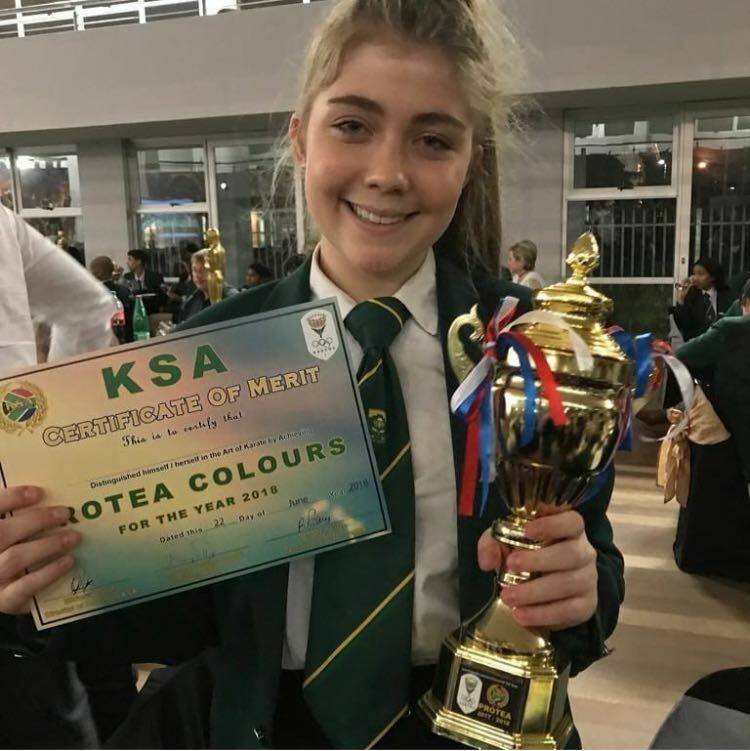 With a great entourage, our Solis Ortus athletes arrived in eThekwini, meaning “bay/lagoon” to participate in the KSA Elite & SA Open Championship in Tongaat. Mention the name ‘Tongaat’ and the next word on the average South African’s lips is ‘sugar’. 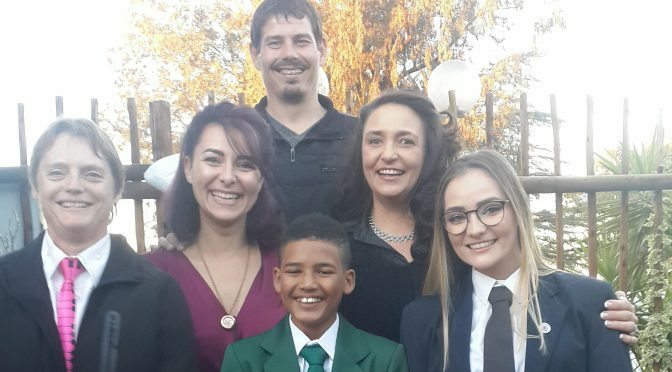 Tongaat is a sugar-producing town with a characteristically English colonial flavour that lies on the banks of the Tongati River, about 37 kilometres north of Durban. Tongaat is also the oldest Indian community in South Africa. Seven of our top athletes, competed in this tournament the past weekend. As usual weigh-in is a day before and took place on the Friday. 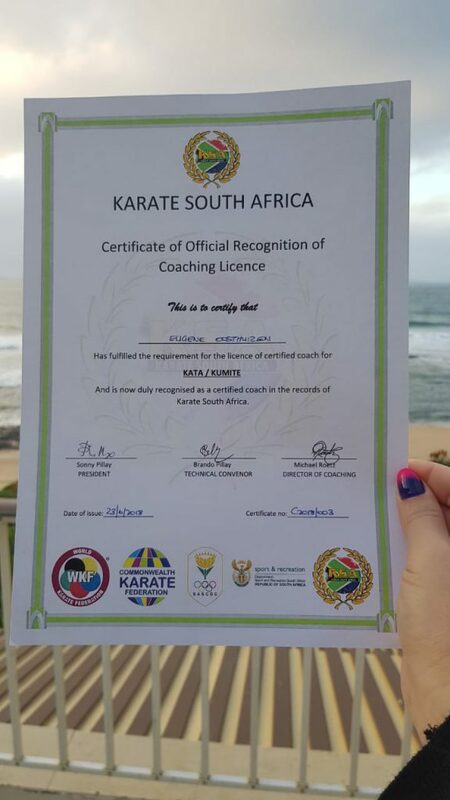 On Friday, Sensei Eugene attended a coach’s course and examination at the Tropicana Hotel in Durban on the Marine Parade. 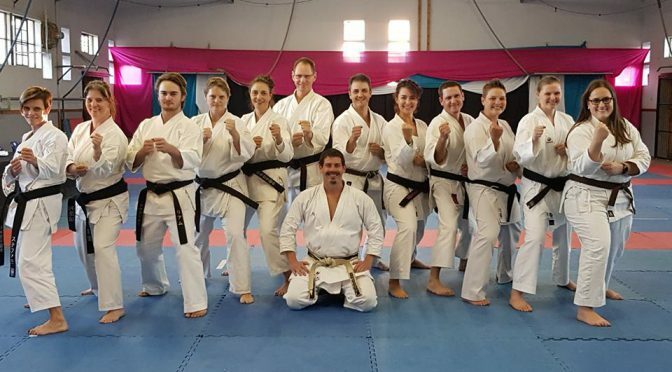 It is with pride to acknowledge our sensei on being one of only 3 people to pass both the kata and kumite coaches accreditation. Saturday all kata divisions, except the Veterans and Masters; Opens and Elite kumite up to 14 years took place. 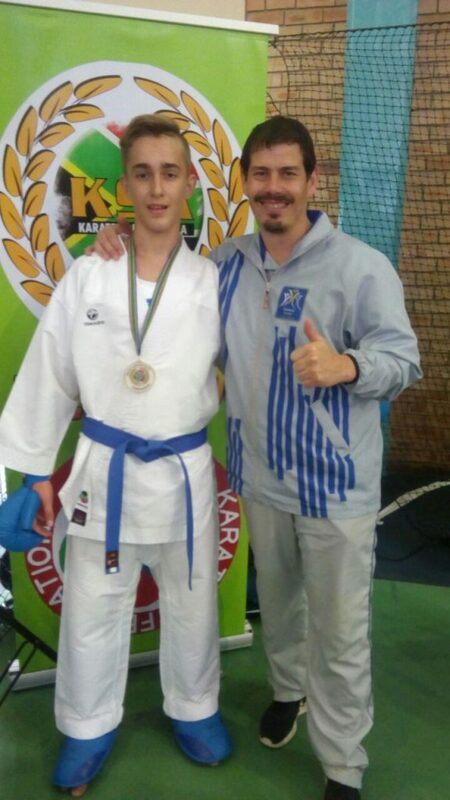 Sunday all kumite divisions continued for 14+ years old as well as the Veteran and Masters divisions. Solis Ortus wants to congratulate the following athletes who competed and received their medals. 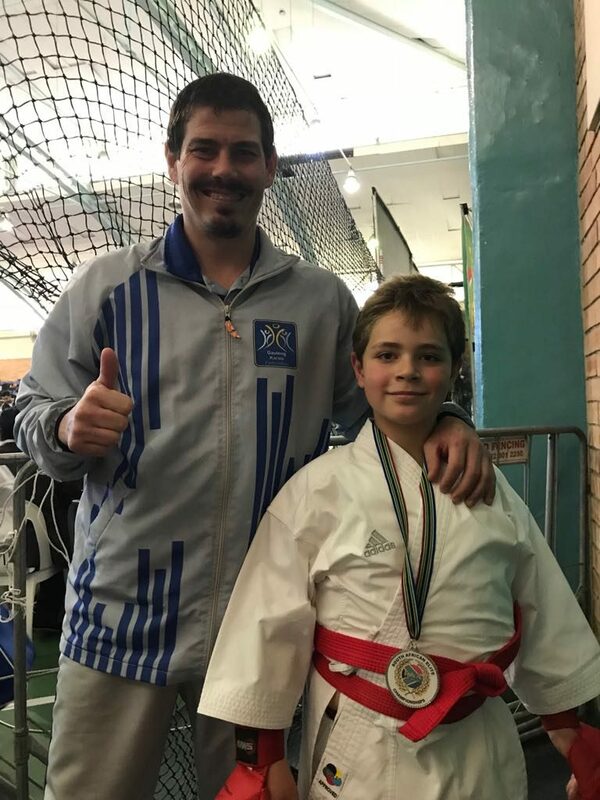 KSA Opens: Milan Kruger – Kumite (Gold); Drew Dupuy – Kata (Fell out) and Kumite (Silver); and PW Pentz – Kata (Fell out). 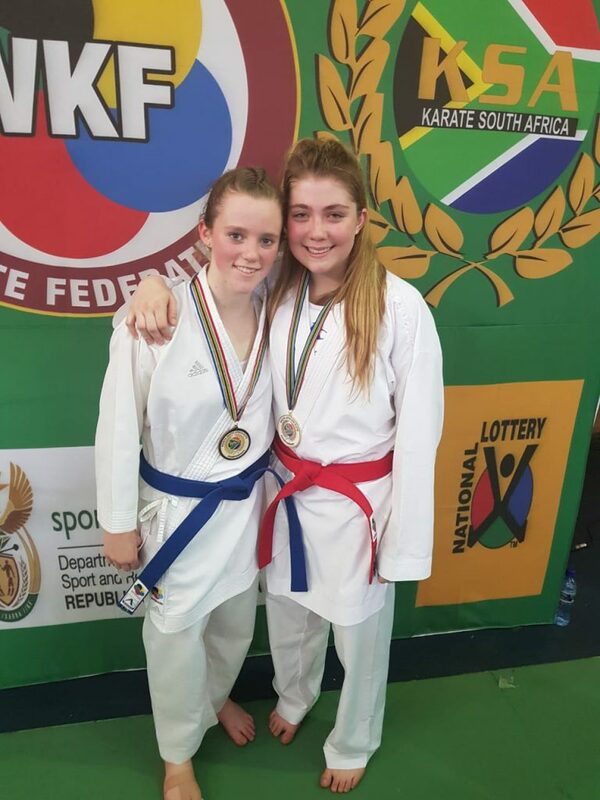 KSA Elite: Pieter Jordaan Kata (Bronze) and Kumite (Silver); Savanah Hauser – Kata (Bronze); PW Pentz – Kumite (Gold); Thirq du Preez – Kumite (Fell out); and Hanelore Constable – Kumite (Gold). 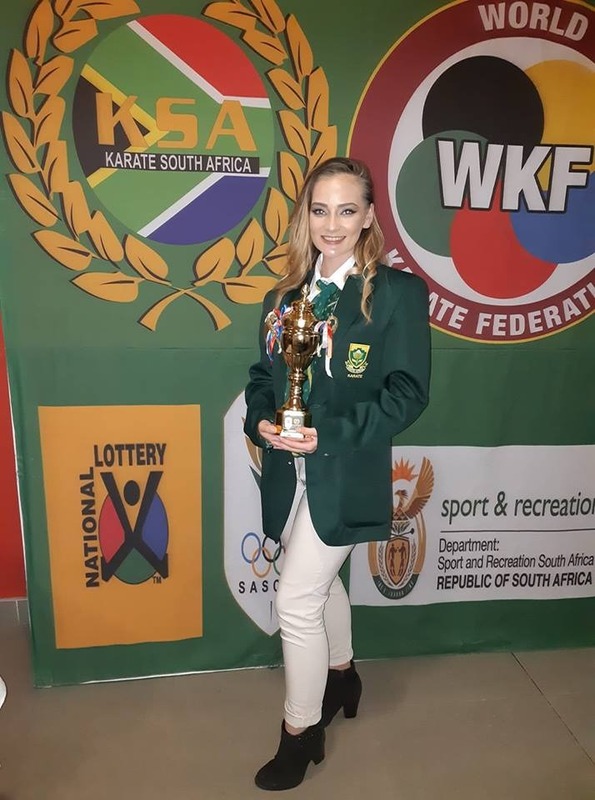 Karate South Africa honoured all the Protea athletes who have represented the country internationally (July 2017- Botswana tour 2018) to attend a Gala dinner banquet preceding the Elite /SA Open Championships on Friday evening. 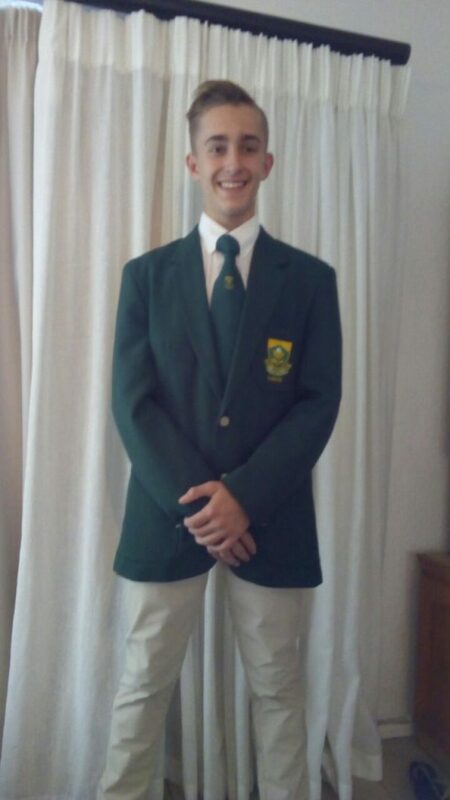 Chief guest of honour for the Annual event is Mr Gideon Sam President of SASCOC. 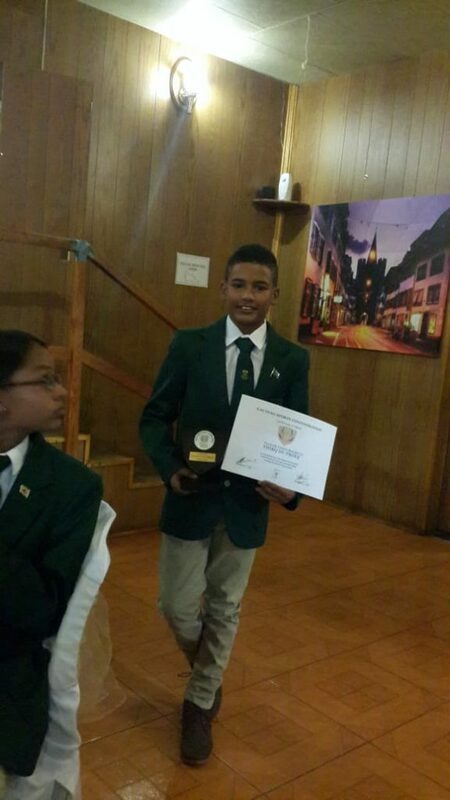 All our athletes representing South Africa came dressed up in their green and gold to receive their trophies. 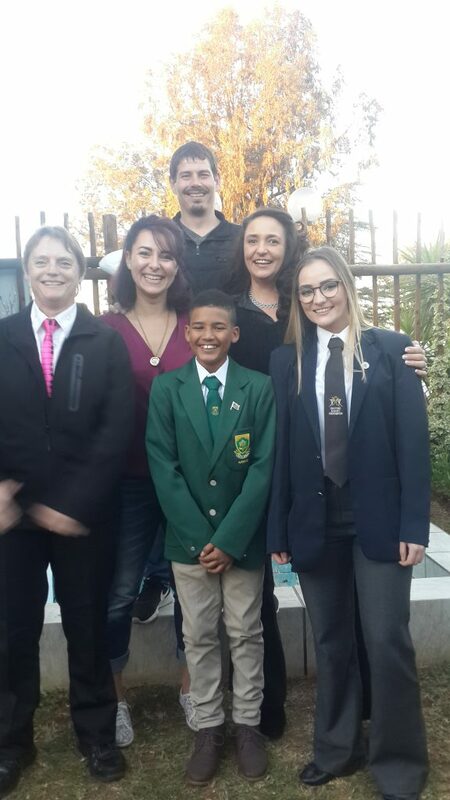 Savannah, Hannelore, PW and Thirq, Solis Ortus salute you with pride and wish you all the best for 2019. Some came home after the Championship and some stay behind to enjoy the warm sun alongside the Dolphin coast. Some collected seashells, some brought home a fresh spirit of enthusiasm and some can’t wait to see you all again. 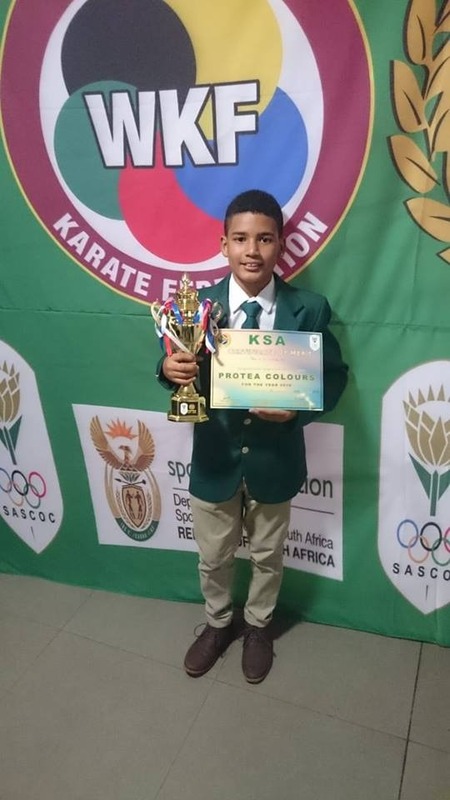 It is an honour to be part of such a successful and proactive dojo. 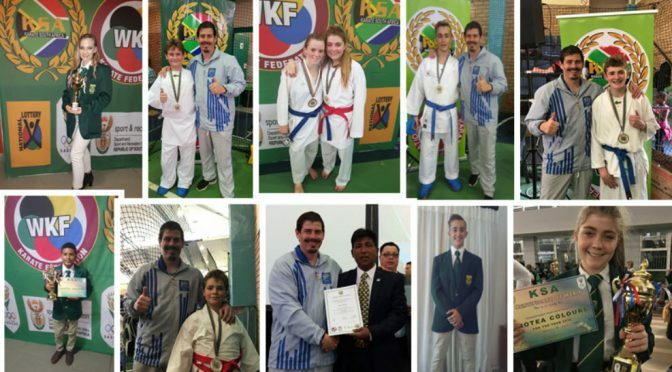 Thank you to sensei Eugene who is always hands-on with our athletes and all the rules and regulations of the sport. Thank you for being such an inspiration to our athletes, young and old. Especially thank you for your time and effort you put into our athletes to become the greatest they can be. Benjamin Disraeli said: “Seeing much, suffering much, and studying much are the three pillars of learning.” So, the more you sweat the luckier you get. 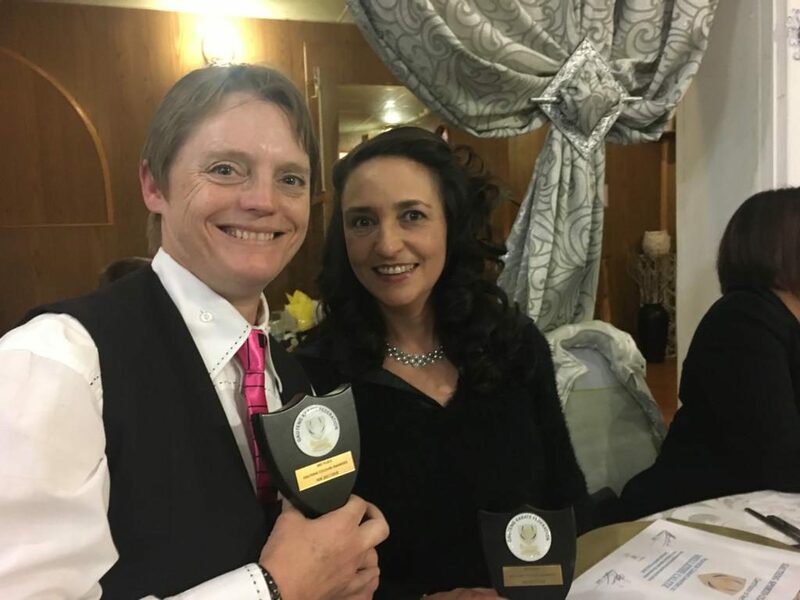 GKF awards evening was held Saturday evening at the Libanon Rec Club Glenharvie, Westonaria. 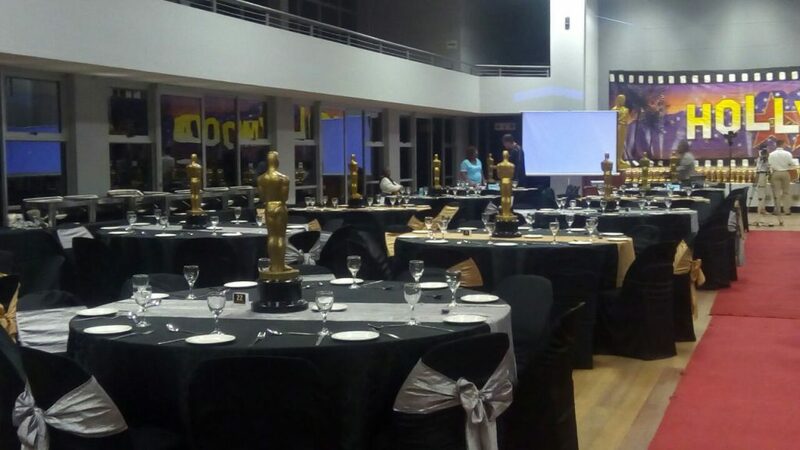 This prestigious evening event honoured our top athletes in Gauteng Province. 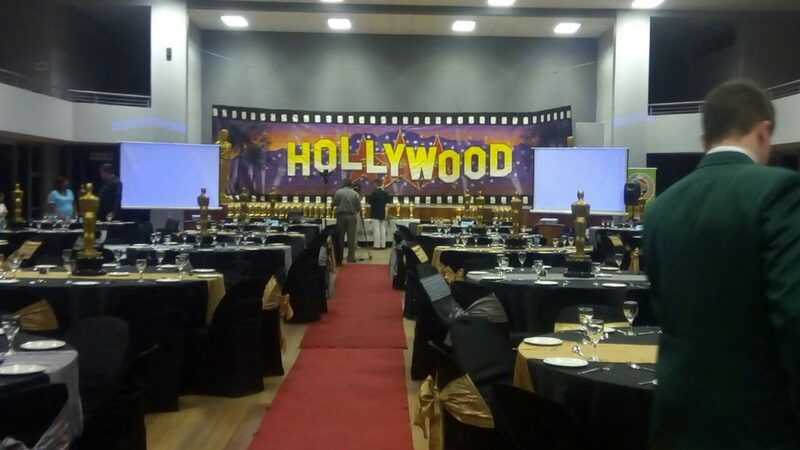 With more than 250 guests we had a three course dinner, live dancers, the GKF executive board members, VIP guests, of which sensei Eugene and Sandy was amongst them, and of course all our athletes. 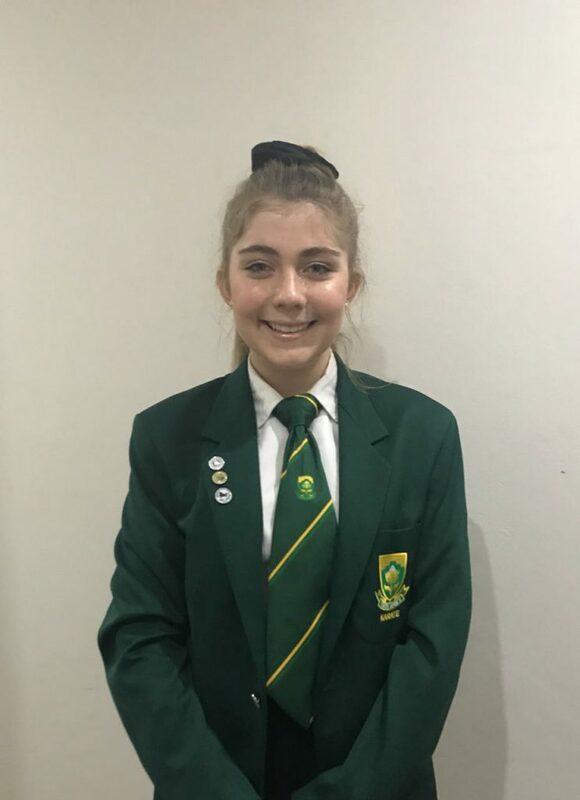 It was overwhelming to see all athletes in one room, most dressed up for the evening and others dressed up in their green and gold. Some were our rivals once but soon we united as one team representing our Province with pride. From west to east, north to south, Gauteng encompasses a world where everything is available. 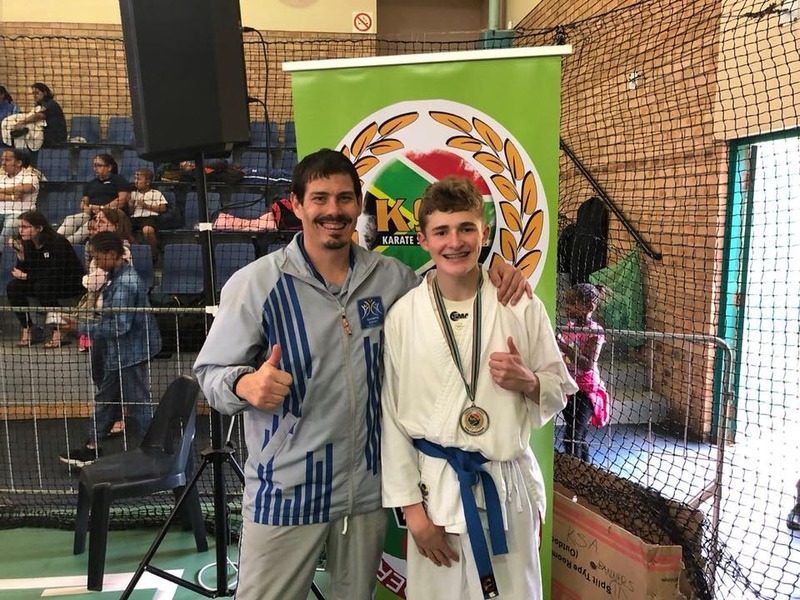 Although the smallest province in South Africa, the City of Gold did extremely well in their boundaries and therefore achieved the most medals in the country; especially gold medals. 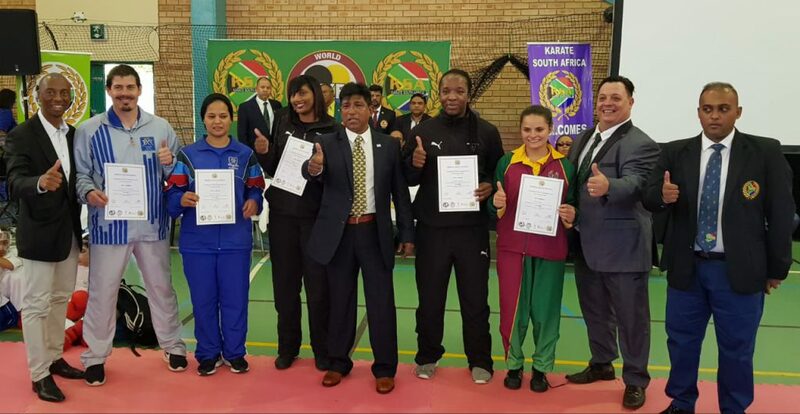 Our Gauteng Karate President, Mr Kruben Pillay, opened the ceremony by congratulating all the athletes who have worked hard, persevered and achieved. Our honourable guest, Secretary General (CEO) at Gauteng Sports Confederation not only honoured the athletes but also stated the importance of keeping all our achievements as it will benefit us one day when applying for employment or even to get admittance at University. He also mentioned that Gauteng is the first Province who got approval for our sport places in the country, signed, approved and published on Sports data by the Minister of Sport. Soon the rest of the Provinces will follow. 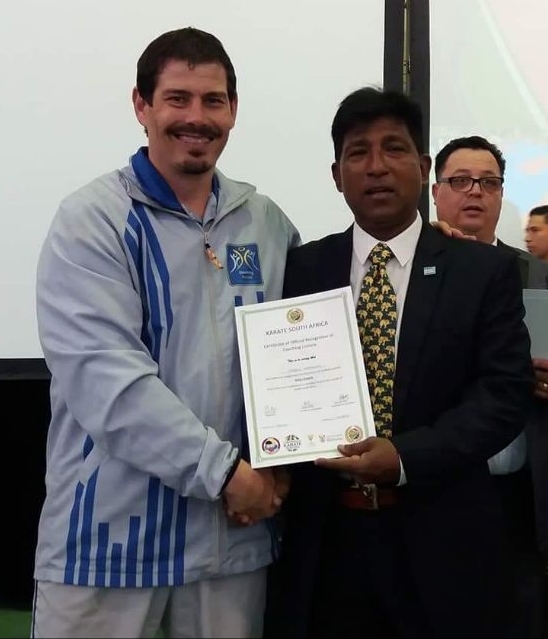 He also explained how hard our Gauteng Karate President, Mr Kruben Pillay works behind the scenes to promote karate in South Africa. 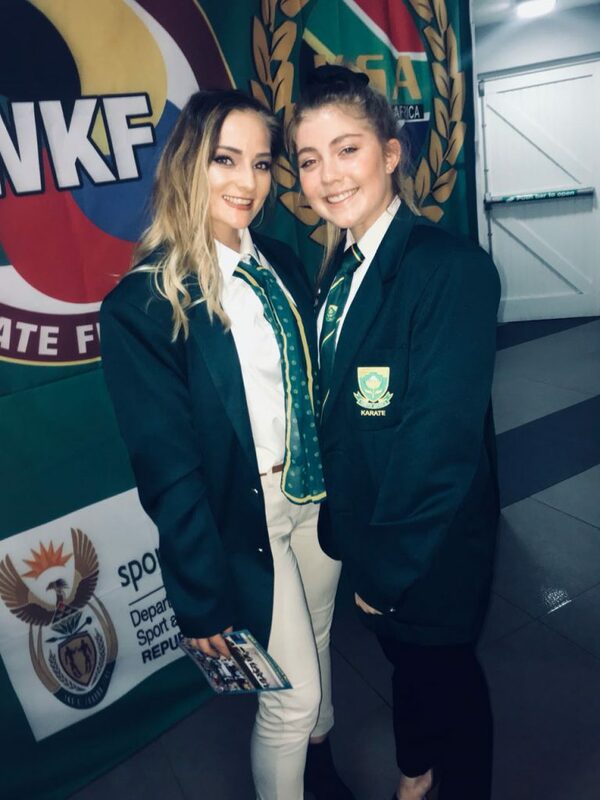 Amongst those who qualified in Solis Ortus, four of our athletes namely Thirq du Preez, Savannah Hauser, Lilian Mynhardt and Heilethe Calitz were there to receive awards. 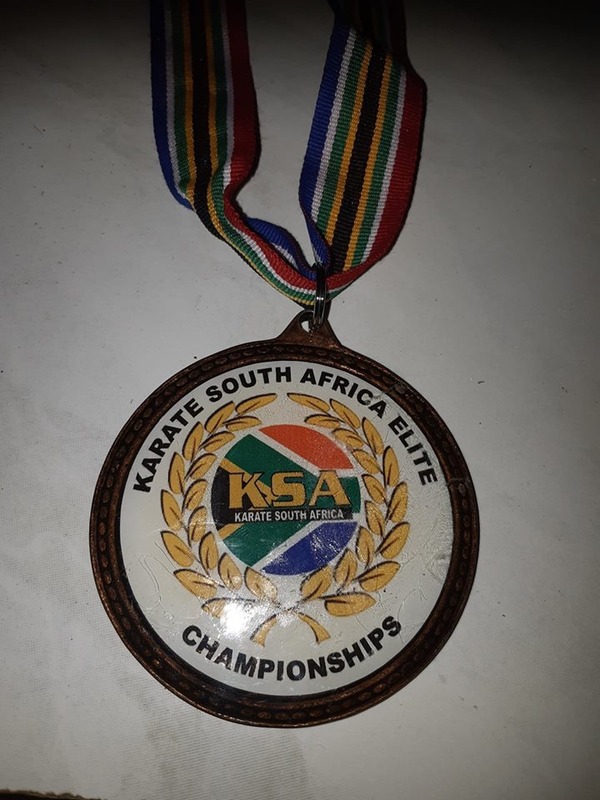 We as athletes, feel extremely proud and honoured to have achieved our rankings, and want to thank our Sensei for his time, effort and dedication he invested in us to enable us believing in ourselves and therefore reaped our rewards.